Didja ever think about THIS referral source? I was at a CEB conference in June geared toward Small Medium Businesses and I heard a most provocative idea. Since data is CEB’s “THING”, I found it especially compelling! They talked about how important it is to ask for referrals when you are growing your business. Nothing new here. They talked about how much more effective we are when we’re selling to someone who was referred to us – rather than us reaching out to them cold – Yep! They talked about how to go about the business of asking your clients for referrals. Need help with this? Google is your friend. “How to ask a customer for a referral”. But, then they said something that really got my attention! Now, you might have thought of that before, because you are super-duper smart and it’s hard to tell you anything new under the sun. But, I will admit, it was a new idea I thought was worth a think. So, I’m sharing it with you. These are people with boots on the ground – talking with other business and consumer customers all day long! 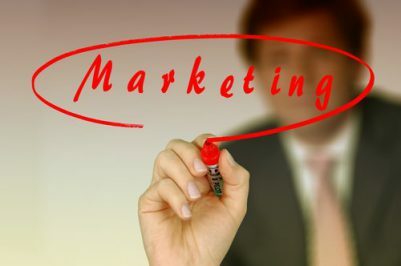 Do you have a strategy, or marketing materials that you have designed to communicate to THEM who your ideal client is? Do you know how much they would love to be of extra service to you? Especially if you are a good customer that they want to keep? Do you offer referral fees to other professionals – do they know about that? Hmmmm….The wheels are turning now, aren’t they? Other Business Owners: You probably hang out, either in person or online, with other business owners. And perhaps you’ve thought through some of this before. Perhaps you belong to a Le Tip group or your local Chamber of Commerce. But, I invite you to expand your reach a little bit. Is there a Business Owner’s group you should be joining on LinkedIn? Or are there business owners you know who you haven’t asked for referrals from? Do you have a specific strategy for asking them to refer to you? If you have examples of asking for referrals from either of these groups before, I would love to hear from you in the comments below! If you now have new ideas about how you are going to use this information, I would love to hear from you in the comments below! Oh, and if you want to get the Totally Irreverent Tuesday Newsletter – with stuff I never ever publish anywhere else, sign up here!